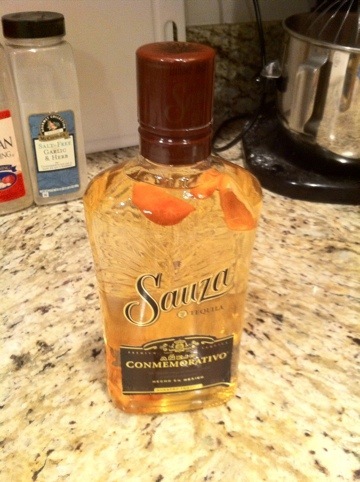 Since I brew my own beer I decided I may as well spice up my margaritas as well. 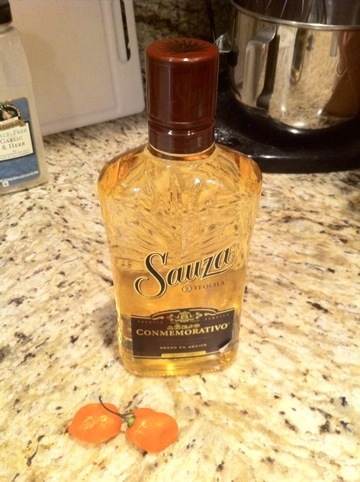 So I picked up a bottle of tequila to try a habanero infusion in. I love habanero I use them in my salsa, hot sauce ect. but knowing how quickly they can get out of hand I decided to only use 2 and I seeded them to hopefully get some more flavor without the insane spicy. I’ll give it 3 days to infuse and then strain it and give it a try. ~ by B. Rogers on May 22, 2012. Hello my friend! I wish to say that this post is awesome, great written and include approximately all vital infos. I’d like to look more posts like this . Well how did it turn out?? Pretty good actually I love spicy things and it’s one of those thing ls where its so good as long as you don’t stop drinking it which makes it a little dangerous 🙂 I’m a little heavy handed on my pour so I think next time I’m going to try only 1 pepper to keep the spice a little more subtle.